There are many Twitter tools in the internet which do various things. There are also many tools which can be used to manage followers. From many of those tools, this is the best tool I found. 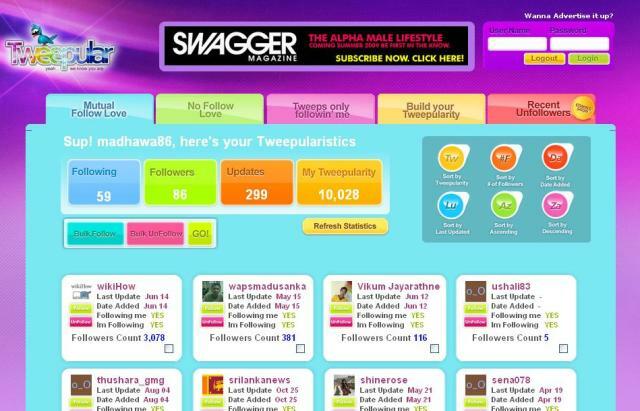 Tweepular is used to manage followers, unfollowers, fans, and also it gives our popularity (rank) in the twitter network.